Contact Us! We are here for you! Survivors of childhood sexual abuse experience an array of overwhelming and intense feelings. These may include feelings of fear, guilt, and shame. Abusers have been known to tell children that it is the fault of the child that they are abused, shifting the blame away from the abuser, where it belongs, and placing it on the child. Along with this, abusers may threaten or bribe the child into not speaking up; convincing the child that he or she will never be believed.i The reaction of a survivor’s friends and family to the disclosure of the abuse also has the potential to trigger immense feelings of guilt, same and distrust, particularly if those individuals denied that the abuse was taking place, or chose to ignore it. Survivors may have trouble sleeping because of the trauma, anxiety or may directly be related to the experience they had as a child; children may be sexually abused in their own beds. Many survivors were betrayed by the very people they are dependent upon (family, teachers etc.) who cared for them, who insisted they loved them even while abusing them; learning to trust can be extremely difficult under these circumstances. Many survivors as adults find themselves in abusive, dangerous situations or relationships. Many survivors re-experience the sexual abuse as if it were occurring at that moment, usually accompanied by visual images of the abuse. These flashes of images are often triggered by an event, action, or even a smell that is reminiscent of the sexual abuse of the abuser. Many survivors go through a process where the mind distances itself from the experience because it is too much for the psyche to process at the time. This loss of connection with thoughts, memories, feelings, actions or sense of identity, is a coping mechanism and may affect aspects of a survivor’s functioning. Many survivors have to deal with the fact that their first sexual encounter was a result of abuse. Such memories may interfere with the survivor’s ability to engage in sexual relationships, which may bring about feelings of fright, frustration, or being ashamed. Many things were — childhood experiences, trust, innocence, relationships with family members. The survivor may feel a deep sadness, jealousy, anger or longing for something never had. The abuse of substances can act as an escape from the intense waves of feelings, the terror and helplessness. Compulsive control of food intake can be a way of taking back control over the body that was denied during the abuse. In most instances, the survivor never discussed the abuse with others while it was occurring. In fact, many survivors do not remember the abuse until years after it has occurred, and may never be able to clearly recall it. Usually, after being triggered by a memory, this individual learns how, as an adult, to deal with the effects of the abuse. It is important to speak with someone, whether it be a friend or counselor, about the abuse and past and current feelings. Community health centers, mental health clinics and family service centers may have counselors who have worked with survivors before. They may also be able to refer you to a self-help group. 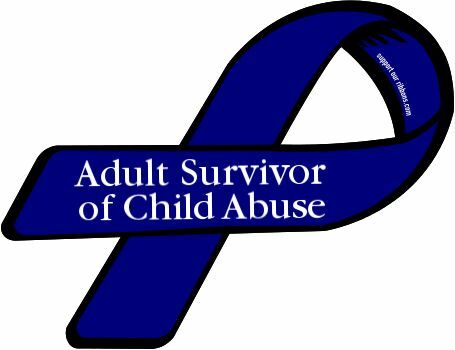 If you are an adult dealing with the effects of childhood sexual abuse, please remember that you are not responsible for the abuse and that you are not alone. You can overcome the effects the abuse may have on your life. Please call the National Sexual Assault Hotline (800.656.HOPE) or visit the Online Hotline. It’s never too late to get help. ii—-U.S. Bureau of Justice Statistics. 2000 Sexual Assault of Young Children as Reported to Law Enforcement. 2000. This product was supported by grant number 2009-D1-BX-K023 awarded by the Office for Victims of Crime, Office of Justice Programs, U.S. Department of Justice. The opinions, findings, and conclusions or recommendations expressed in this product are those of the contributors and do not necessarily represent the official position or policies of the U.S. Department of Justice. The trauma of victimization is a direct reaction to the aftermath of crime. Crime victims suffer a tremendous amount of physical and psychological trauma. The primary injuries victims suffer can be grouped into three distinct categories: physical, financial and emotional. When victims do not receive the appropriate support and intervention in the aftermath of the crime, they suffer “secondary” injuries. The physical injury suffered by victims may be as apparent as cuts, bruises, or broken arms and legs. However, it is not uncommon for victims to be fatigued, unable to sleep, or have increased or decreased appetites. Many victims believe that the stress caused by victimization endangers them to physical problems later in life. Victims and survivors suffer financially when their money or jewelry is taken, when their property is damaged, when their medical insurances does not cover all expenses, and when they must pay funeral costs. The primary emotional injuries of victimization cause both immediate and long-term reactions to victims, their loved ones and, sometimes, their friends. Dr. Morton Bard, co-author of The Crime Victim’s Book, has described a victim’s reaction to crime as the crisis reaction.1 Victims will react differently depending upon the level of personal violation they experience and their state of equilibrium at the time of victimization. Victims of non-violent crimes — such as theft — may experience less of a personal violation than victims of violent crimes, however, that is not always the case. Homicide is the ultimate violation for a crime victim, and leaves behind the victim’s survivors to experience the personal violation. All people have their own “normal” state of equilibrium. This normal state is influenced by everyday stressors such as illness, moving, changes in employment, and family issues. When any one of these changes occur, equilibrium will be altered, but should eventually return to normal. When people experience common stressors and are then victimized, they are susceptible to more extreme crisis reactions. There are certain common underlying reactions that a victim will undergo either in the immediate hours or days after the crime. Frequent responses to a criminal victimization include, but are not limited to: shock; numbness; denial; disbelief; anger; and, finally, recovery. Find someone to talk with about how you feel and what you are going through. Keep the phone number of a good friend nearby to call when you feel overwhelmed or panicked. Allow yourself to feel pain. It will not last forever. Spend time with others, but make time to spend time alone. Take care of your mind and body. Rest, sleep, and eat regular, healthy meals. Re-establish a normal routine as soon as possible, but don’t over-do. Make daily decisions, which will help to bring back a feeling of control over your life. Exercise, though not excessively and alternate with periods of relaxation. Undertake daily tasks with care. Accidents are more likely to happen after severe stress. Recall the things that helped you cope during trying times and loss in the past and think about the things that give you hope. Turn to them on bad days. Shock and numbness are usually considered a part of the initial stage of the crisis reaction. Victims are faced with a situation beyond their control, and some may almost immediately go into shock and become disoriented for a while. Victims may experience what is referred to as the “fight or flight” syndrome. The “fight or flight” syndrome is a basic automatic physiological response that individuals have no control over. Because many victims do not understand this response, and their lack of control over it, they do not understand why they fled instead of fought, and vice versa. A woman who takes a self-defense course may blame herself when confronted with an attacker because she is unable to put into practice what she has learned. A man may be criticized, or not believed, if he did not fight back when confronted. To question a victim’s response to a criminal incident is to inflict a second injury on that crime victim and can cause emotional harm. In many instances, physical and emotional paralyses occur whereby the victim is unable to make rational decisions such as reporting the incident to the police or obtaining medical attention. The individual loses control, feels vulnerable, lonely, and confused; the sense of self becomes invalidated. In this phase, victims’ moods will fluctuate. As Steven Berglas states in his article “Why Did This Happen to Me?”, victims almost always think, “This could not have happened to me!” or “Why did this happen to me?” Many will replay the disturbing event by dreaming, having nightmares or even fantasies about killing or causing bodily harm to the offender.2 Survivors or homicide victims may even express anger at their loved one, believing that if the victim had done something differently, he or she would not have been killed. During this period, victims must contend with a variety of stressful emotions, such as fear, despair, self-pity, and even guilt and shame for their anger and hostility. If victims are to recover form the traumatic event, it is crucial that they are provided with the proper support during the initial impact stage and throughout the criminal justice process. Immediate crisis intervention is needed. Trained crisis intervenors should inquire about the victim’s welfare by asking if they feel safe, assuring victims that they are safe if that is true, and determining if they are in need of medical attention. Victims will often blame themselves for the crime. The crisis intervenor needs to assure the victim that they were not at fault. If these initial and crucial steps are missing, the trauma can have long-term effects on the healing and recovery process. After experiencing the initial traumatic reactions to victimization, victims will most likely undertake the task of rebuilding their equilibrium. Their lives will never be the same, but they begin to regain some form of control and a sense of confidence. Every victim’s experience is different, and the recovery process can be extremely difficult. It can take a few months or years — or an entire lifetime — depending upon the variables involved. For instance, if an individual has suffered from other traumatic incidents prior to the victimization — such as the death of a close relative or friend — his or her initial emotional reaction, reorganization and recovery might be different from someone who is experiencing victimization for the first time. The road to recovery is very similar to a roller-coaster with unexpected “ups and downs.” This is why crisis intervention and supportive counseling play a significant role in helping victims recover. If victims have difficulty rebuilding or finding a new equilibrium, they may suffer from a long-term crisis reaction or from posttraumatic stress disorder. Victims never completely forget about the crime. The pain may lessen and even subside, but their lives are changed forever. Victims who suffer from long-term crisis reactions can be thrown back into the initial crisis reaction by what are known as “triggers.” Many victims will have particular triggers that remind them of their victimization, such as sights, smells, noises, birthdays, holidays or the anniversary of the crime. PTSD is a very complicated diagnosis and the presence of any of the above-mentioned symptoms does not mean that a person is suffering from PTSD. This bulletin does not provide the proper forum for a complete review. Victims not only have to struggle with primary injuries in the aftermath of the crime, but they must also battle with the “secondary” injuries. Secondary injuries are injuries that occur when there is a lack of proper support. These injuries can be caused by friends, family and most often by the professionals victims encounter as a result of the crime. Law enforcement officers, prosecutors, judges, social service workers, the media, coroners, clergy, and even mental health professionals can cause secondary injuries. Those individuals may lack the ability or training to provide the necessary comfort and assistance to the victim. Often, those individuals blame the victim for the crime. Failing to recognize the importance of the crime or to show sympathy can be damaging to the victim’s self-worth and recovery process. Perhaps the most agonizing experience for victims involves dealing with the criminal justice system if and when an offender is apprehended. At this level, the crime is considered to have been committed against the state, and victims become witnesses to the crimes. This procedure is very difficult for the crime victim to understand and come to terms with, because in the victim’s mind, he or she is the one who has suffered emotionally, physically, psychologically and financially. At this stage of the process, a victim can sometimes feel that he or she is losing complete control because he or she is not directly involved in the prosecution or sentencing of the offender. However, participation in the criminal justice system can aid victims in rebuilding their lives. If victims are kept well-informed about the criminal proceedings and feel that they have a voice in the process, they will feel that they are a part of a team effort. This added effort enables victims to understand the judicial process and helps to return to them a sense of control to their lives and circumstances. In order to have a better understanding of the aftermath of criminal victimization, we must begin to accept the reality that crime is random, senseless and can happen to anyone regardless of the precautions that are taken to prevent being victimized. We must also understand that a victim’s life is turned upside down when he or she becomes a victim of crime. In order to help victims learn to trust society again and regain a sense of balance and self-worth, we must educate all those who come in contact with victims and survivors. With proper training, all professionals will be better able to assist victims in dealing with the aftermath and trauma of victimization. 1. Bard, Morton and Dawn Sangrey. (1986). The Crime Victim’s Book. Secaucus, NJ: Citadel Press. 2. Berglas, Steven. (1985, February). “Why Did this Happen to Me?”, Psychology Today: 44-48. Copyright 2008 by the National Center for Victims of Crime. This information may be freely distributed, provided that it is distributed in its entirety and includes this copyright notice. Please Consider Donating to Our Cause This fund is to keep our non-profit going in order to help those that are victims of abuse of all kinds. Informative Videos on our YouTube Channel Please subscribe and share!